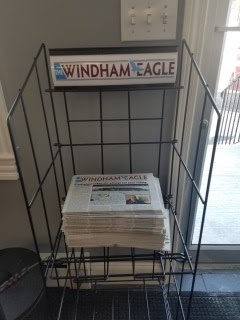 The Windham Eagle Editorial: Having trouble finding our paper in the supermarkets? Having trouble finding our paper in the supermarkets? We have moved to the racks inside the store with the paid newspapers. Still can't find them? Check in with customer service and they will help guide you.